If you’re the owner of a cannabis retailer or product, catchy marketing and SEO is a sure way to differentiate your brand from competing for cannabis dispensaries. Recent marijuana legalization in some U.S. states has welcomed the reimagination of cannabis, and those who work in the marijuana industry have been able to push the boundaries even further in terms of creative marketing strategies. To pique the interest of new potential cannabis users, dispensary owners could benefit from investing in attractive and unique marketing campaigns, ads, and slogans. Creating your own website is the status quo for any modern business aspiring for success. It’s possible to design a website on your own, but it might be a good idea to hire graphic designers and cannabis SEO experts who can come up with the perfect theme and design to catch the attention of your target market. Aside from online visibility, you also need to bring an educational perspective to your cannabis website. Naturally, you should always strive to provide value-based content to your demographic, such as creating useful articles, photos and information to promote your products. Additionally, don’t forget to seriously look into color schemes, logos, widget placement, and user interface. Google still leads other search engines in terms of online visibility, and having your site appear on top of Google search results will dramatically increase your site viewership, overall brand awareness and help expand your potential customer base. Google My Business: This service allows you to publish a complete profile of your business (which includes your address, contact number, and operating hours) on search results. Google Adwords: This app includes a price tag, but investing or “bidding” for specific long-tail keywords can effectively boost your odds of being discovered by your prospective clients online. Google Analytics: Using this free service gives you the power to monitor site activity. Audiences can be segmented in whatever way you like on GA. From the analytics data, you can customize your cannabis SEO strategy to capture the top SERP slot. Don’t target short generic keywords like “marijuana dispensary” or “cannabis shop”, which are often competitive and expensive. Instead, opt for long-tail and/or location-based keywords such as “cannabis dispensary in San Diego” or “discount medical marijuana products”. You may also find help through keyword research tools online. With millions of people using social media, your Facebook, Twitter, and Instagram accounts could be the perfect landscape to reach your desired market. By establishing your company’s social media presence, you can effectively improve your online visibility and make your cannabis business rank higher in search results. Always update your site for upcoming events, products and promotions. Potential buyers won’t like it when you link your social media page to a website that hasn’t been updated for months. In other words, give your prospects something fresh to digest. Make sure to respond to queries. Social media can become a customer service platform to boost client trust and satisfaction. If you promptly answer questions and address customer concerns, you will be on your way to operating a highly trusted marijuana business or cannabis marketing agency. Don’t bombard your social media page with promotional content. Make your presence felt without flooding your followers’ timelines with promotions or sales banners. Let your social media posts reflect your advocacies, company interests, and even random stuff that your online followers will probably appreciate. Be innovative in creating marijuana marketing content for your social media channels. Some people are still on the fence about legal marijuana use, so they may disregard your posts and likely your accounts. Make sure you focus your energy on your target segments, which will be your most inclined cannabis buyers. Do not focus on only one or two platforms. Join as many online channels as you can in order to promote your business on a wider scale. For instance, you might consider joining dispensary-based directories to increase your business acumen. 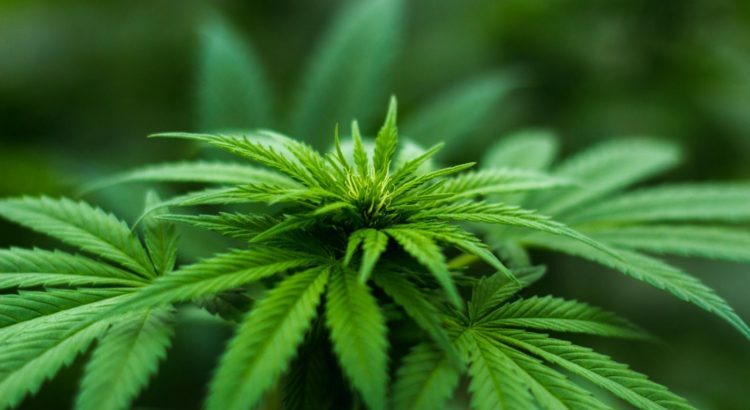 Many cannabis dispensaries neglect to take advantage of organic traffic sources, which provides opportunities for dispensaries with a strong marketing focus. Blogging boosts the relevance and importance of your site and keeps you connected with your followers. Offering a blog encourages your online followers to enjoy and share your fresh content, which will ultimately serve to strengthen your influence and authority in the cannabis industry. Make sure to update the blog regularly so your readers can depend on your ongoing maintenance and dedication to news and education in the marijuana industry. Posting new content once a week can make a significant contribution to your cannabis SEO plan to make you an industrial cannabis expert in no time. You have the option to configure your website to accept and publish customer reviews. Google can identify authentic reviews and ratings for your company to subsequently share this information on search results. Publicly sharing what other people think of your cannabis dispensary can encourage transparency, which can hopefully improve your bottom line. Need Help With SEO Cannabis Industry? SEO requires the implementation of a proven, long-term plan to achieve desired results. If you want the best odds at building strong cannabis sales campaigns, it’s a good idea to consult with the experts. Eminent SEO is a group of digital marketing professionals that specializes in creating sound SEO strategies and cannabis website marketing that focus on growing your branded cannabis dispensary. Nicola Yap lives in Phoenix, Arizona with her two cats and works as an organic marketing strategist at Eminent SEO, a high-quality cannabis marketing agency that handles digital marketing plans, web design and development, and digital marketing strategies for marijuana brands.